Black Croc Print Western Rhinestone Belt with Large Cowboy Buckle. 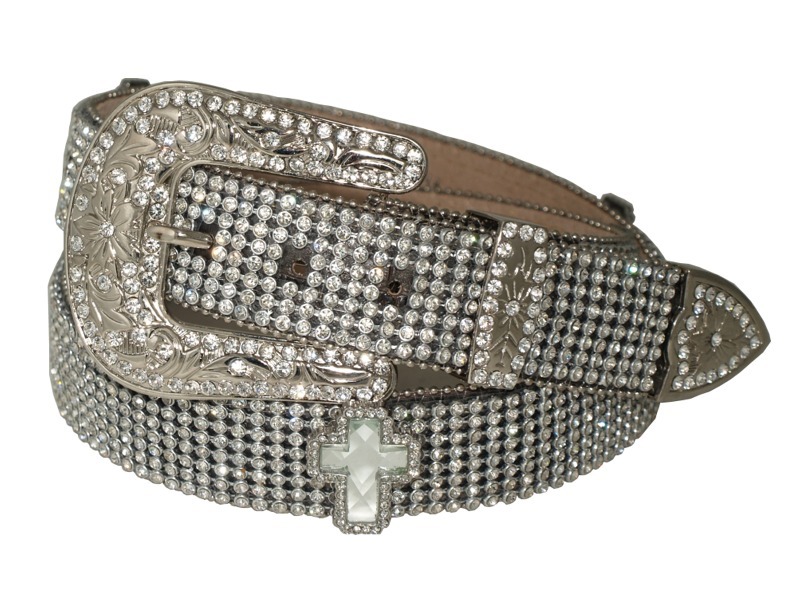 Made of Genuine Leather with 7 rows of White Cut Glass Crystals, and White Crystal Crosses. 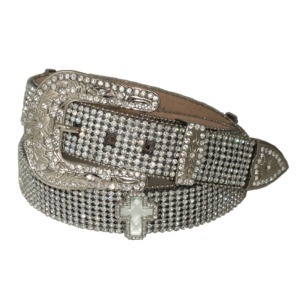 Silver Plated Large Cowboy 3-Piece Buckle Set with White Crystals is included.